Blog > Competitions > HotTag Competition: Share Your Projects and Win $50/£50! It’s a new year which can only mean one thing! Brand spanking new knitting projects! To celebrate your first knit of the year – we’re giving one lucky knitter $50/£50 to spend at LoveKnitting with our latest HotTag competition! 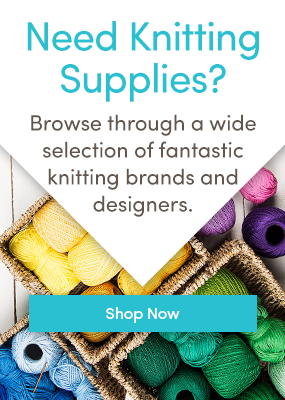 Whether you’re launching into 2018 with a fabulous new accessory, gorgeous garment, or cozy knitted project for your home, we want to see what you’re working on! After all nothing beats the January blues then new hues, a restocked stash, and a flurry of new tools! Attach the yarn and pattern that the project uses. Use the HotTag #2018FirstKnit so we can find your entry. Make sure you upload your project by 11:59pm EST (NYC time) on Jan 31 2018! The winning project will be selected by the quality of the description, image(s) and pattern! Whether you’re knitting style is classic, playful or chic – get creative with your crafts! We can’t wait to see your designs! Not sure how to upload a project? Fear not! Click here to learn how! Last updated: January 9th, 2018. 10 Responses to HotTag Competition: Share Your Projects and Win $50/£50! how do i add the hot tag? i click on it and get a list but can’t add this one? Thanks for your comment, it seems the list hadn’t updated yet, but you should be able to add the HotTag now! I hope it works for you, if you have any more problems or questions please leave a comment and I will help! Suppose it’s my own design? Can crochet projects enter or must it be knitting? Does this need to be done on a computer vs my iPhone? On my phone I can’t seem to find the “projects” tab. Your Facebook post for this competition says ‘Share your first crochet project of the year using our and enter to win’ Using our what? Having read your Ts & Cs can I assume the missing word is wool? Most published patterns are copyright and forbid uploading to third party web sites or servers, to follow your instructions would put me at risk of prosecution. Presumably acknowledging the name of the pattern and designer would be sufficient? You’re correct, we wouldn’t want you to give away other people’s patterns, but you can just link to the pattern if it’s available on our website. That way other people can purchase the pattern or download it for free if it’s a free pattern. Thanks!